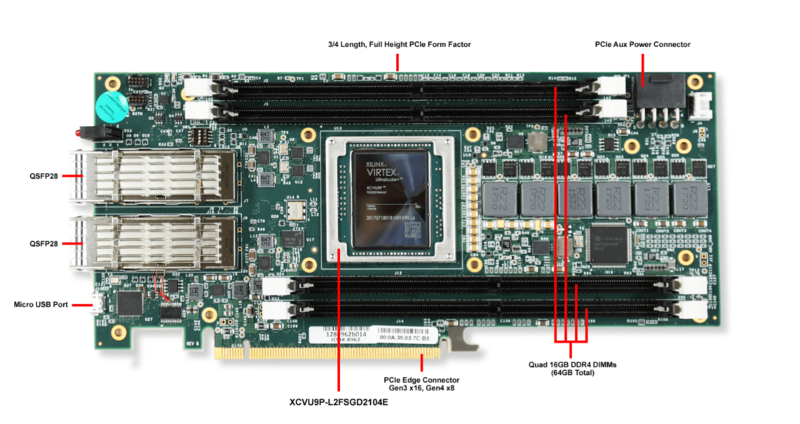 50 Gigabit per second bandwidth for collecting FPGA traces. 8 Gigabyte of memory for trace storage. 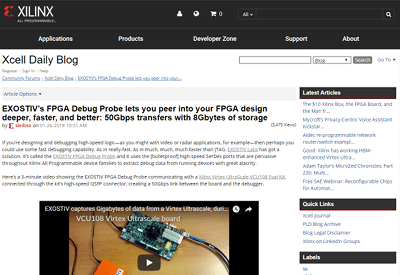 Actually, we have built EXOSTIV to provide VISIBILITY to FPGA designers performing debugging with real hardware. If you do not know why it is important, watch the following 7 minutes video. It sketches out the fundamentals of EXOSTIV. 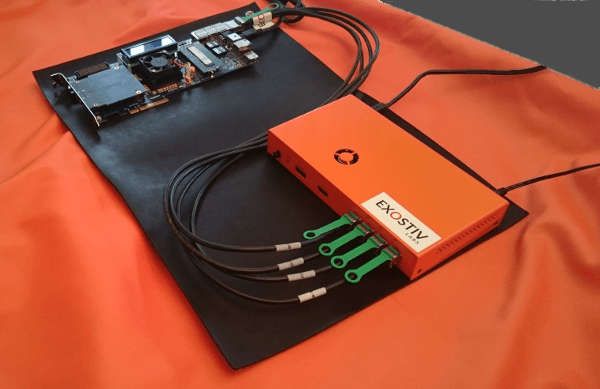 We built EXOSTIV to provide visibility to the FPGA designer. Interrupted captures are very useful too ! This person was implying that – for example – probing more than 250 FPGA nodes at 200 MHz already exceeds this total bandwidth. So, Exostiv cannot be used to its fullest, right? This reasoning is right if you think that only continuous captures are valuable for getting insight from FPGA. The following short video explains why it is important. It features a case where the capture – from start to end – spans over 11 seconds ! . 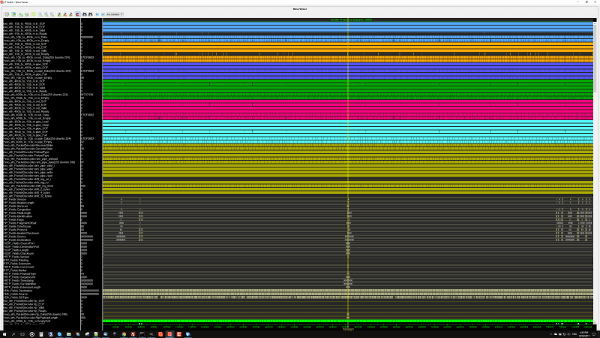 Depending on the trigger and data qualification (or data filtering options) – and by using the full provided trace data buffer (8GB) such an approach can let you observe specific moments of the FPGA in operation over hours !. With the proper capture settings, EXOSTIV lets you observe FPGA over hours. So, the features listed below are equally important for an efficient capture work. 8k samples local buffer in each capture unit. 1 trigger unit per capture unit. Defines start of capture. Data qualification condition on input data. Capture only when the condition is true. Sequential / state machine trigger in 2017 roadmap. 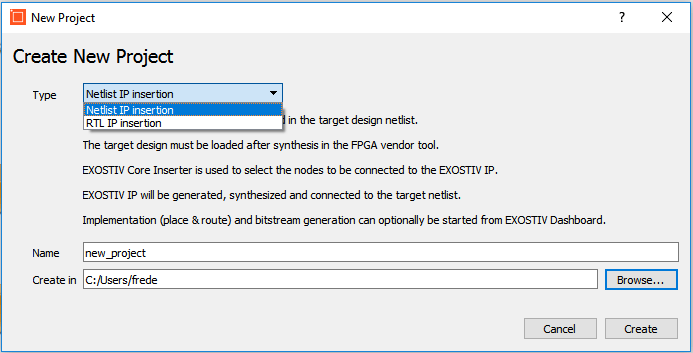 EXOSTIV Dashboard ‘Core Inserter’ now proposes 2 alternate flows* for inserting EXOSTIV IP into the target design: the ‘RTL flow’ and the ‘Netlist flow’. With the RTL flow, EXOSTIV IP is generated as a RTL (HDL) code ‘black box’, with a synthesized netlist underneath. EXOSTIV IP is inserted ‘manually’ by the designer into the target design by editing the RTL source code (VHDL or Verilog). Once inserted, the user manually runs the synthesis and implementation (place & route) of the instrumented code. The Netlist flow lets the user pick the nodes to be observed from a synthesized design. EXOSTIV IP is then synthesized and automatically inserted into the target design netlist. The instrumented netlist can be placed and routed automatically too. You can choose the flow when creating a new project with EXOSTIV Dashboard software. This choice has got consequences on the output files, on the results of the core insertion process and on the operations that you need to execute for obtaining an instrumented design. 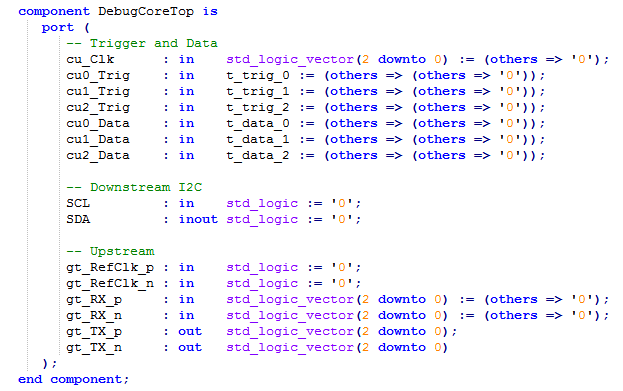 …produces a generic debugging IP with the chosen resources and generic input port. The process of configuring EXOSTIV IP in EXOSTIV Dashboard is merely a matter of choosing the number of capture units in the IP and the width of them (see for instance an example of such IP component declaration in VHDL below). The generated modules will have ports numbered as: ‘cu0_Trig’ or ‘cu2_Data’. Once generated, you can connect EXOSTIV IP to any RTL signal / wire from your RTL code. Once the IP is connected in the target design RTL code and once the synthesis, P&R have run, the EXOSTIV IP inputs really have a functional meaning. It is then desirable to specify a logic name rather than an obscure ‘cu#_Trigger(0)’. It just eases analysis. 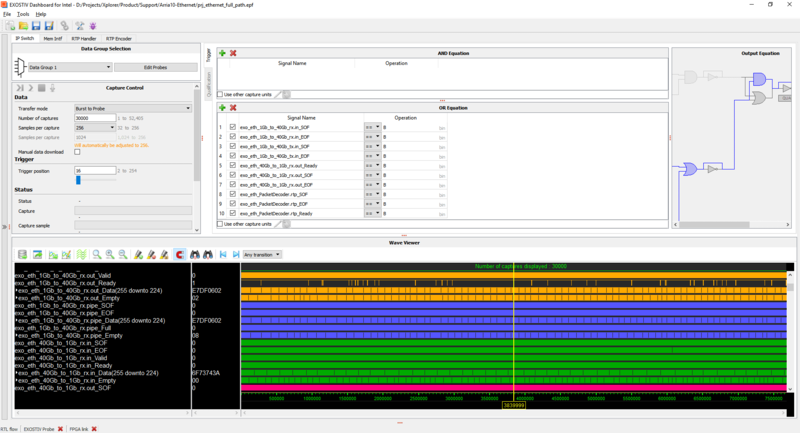 So, this will be done in the analyzer, with the ‘Data Probes Remapping’ function (see screenshot below). The same sets of nodes are observed for debugging. This would be the case for a AXI bus-based system, where debugging the system requires watching the AXI bus traffic. Typically, this supposes that there is little or no iteration for selecting the nodes observed during debug. Interesting nodes are optimized, removed or renamed after synthesis, preventing from probing them. In such a case, the RTL flow gives a better ‘insurance’ to be able to watch interesting nodes. 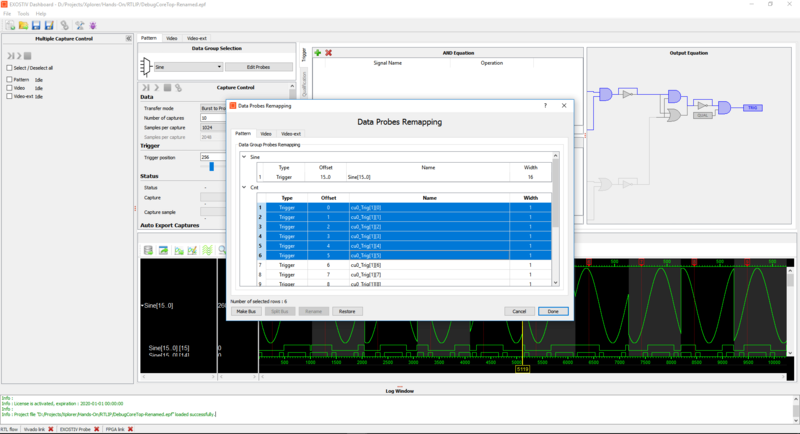 Using properties on signals such a ‘MARK_DEBUG’ for Xilinx Vivado or ‘SYN_KEEP’ for Synplify would, however, limit the risk of ‘loosing’ the interesting nets after synthesis. 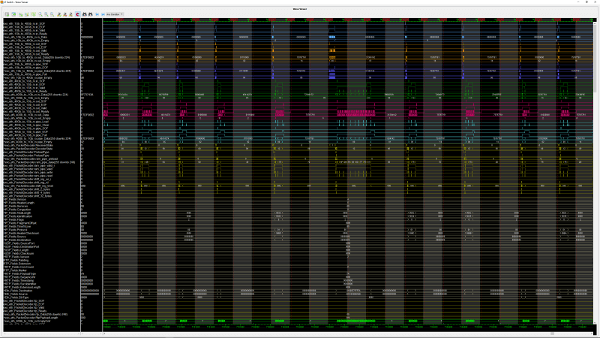 … uses a communication between the FPGA vendor tool and EXOSTIV Dashboard software to dig into the design hierarchy, extract nodes and clock information from the synthesized design (see the node selection window below). 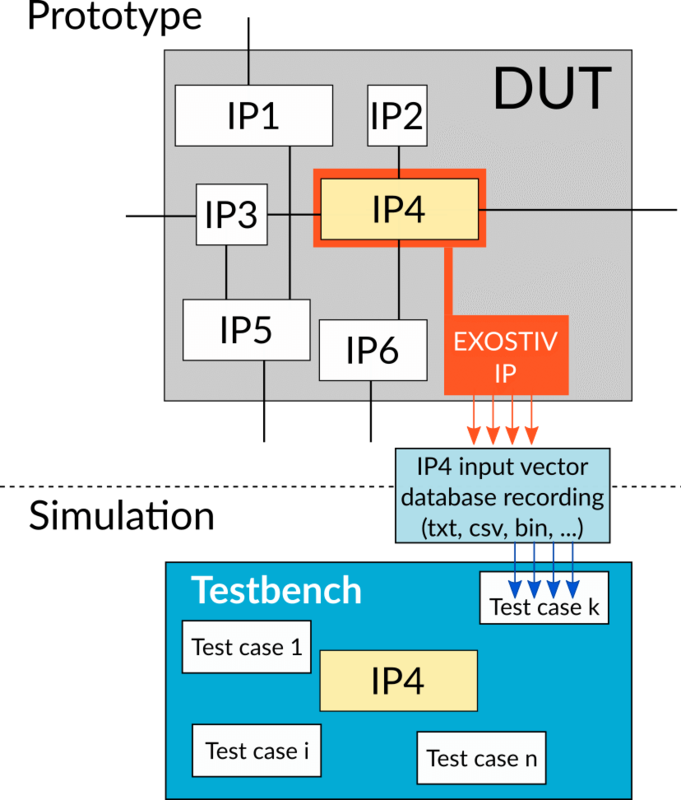 You want to save the time of design synthesis when a new EXOSTIV IP core is generated. 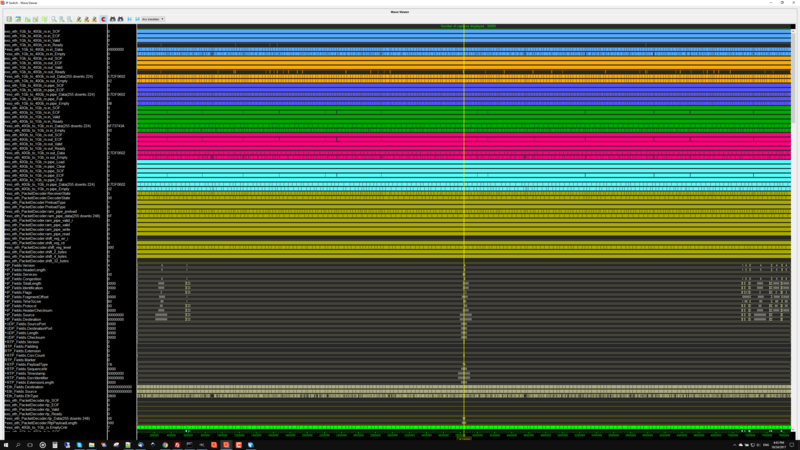 This would be the case when successive core insertions must be run to track bugs. 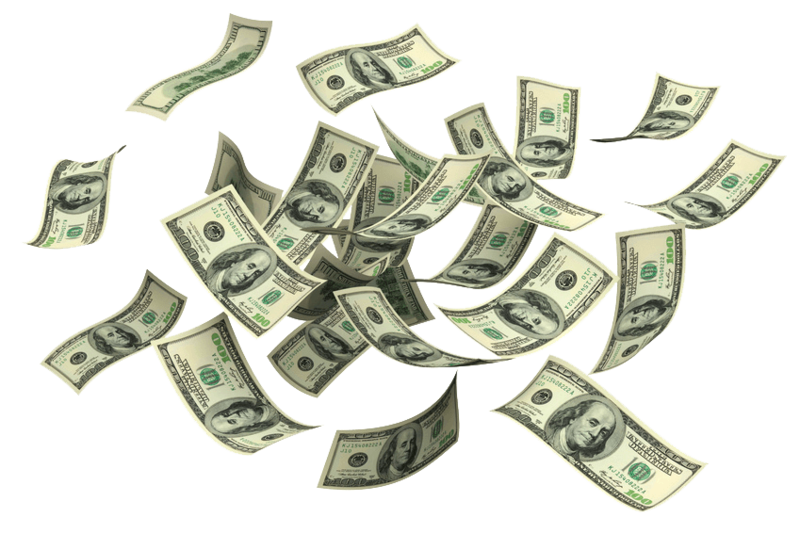 You do not want to manually modify the RTL code – which can be time-consuming. 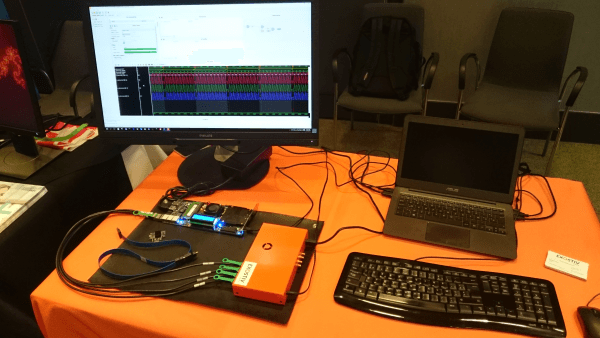 Leaving the work of inserting and connecting EXOSTIV IP to EXOSTIV Dashboard software and the FPGA vendor tool suite proves extremely efficient. EXOSTIV Dashboard flows are 2 alternate ways of generating and inserting EXOSTIV IP into your target design. 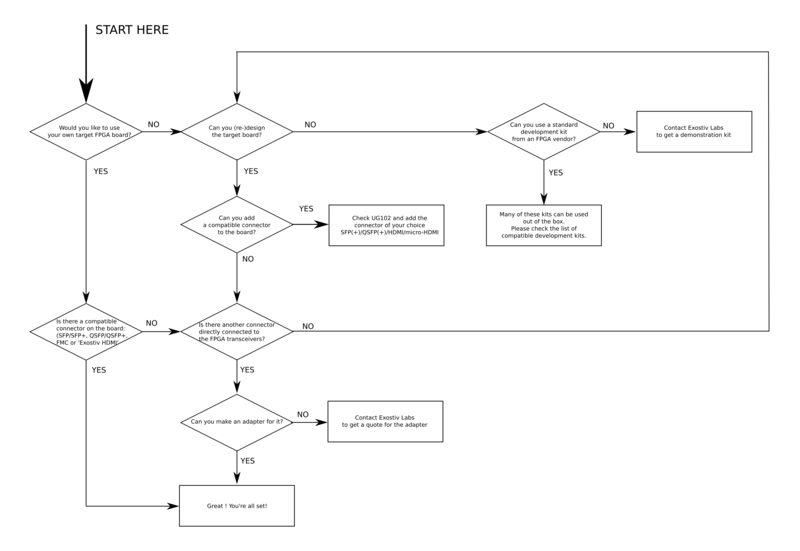 Which one is right for you very much depends on your habits and the flow you are using for creating and debugging FPGA. It would be too quick to dismiss the RTL flow because it is not fully automated – and requires editing the RTL code to bring the right ‘wire connections’ at the level where EXOSTIV IP is instantiated. The RTL flow fits well when the same specific nodes are systematically probed. Using scripts with conditional instantiation of IPs is a very efficient way to generate and debug designs based on a RTL approach. As we’ll explore in a future post, coding techniques exist for easing the work of wiring nodes across the hierarchy. Similarly, you should think again before dismissing the Netlist flow because node names cannot be found after synthesis: some properties can be used for limiting this effect – and we’ll come back on this later. 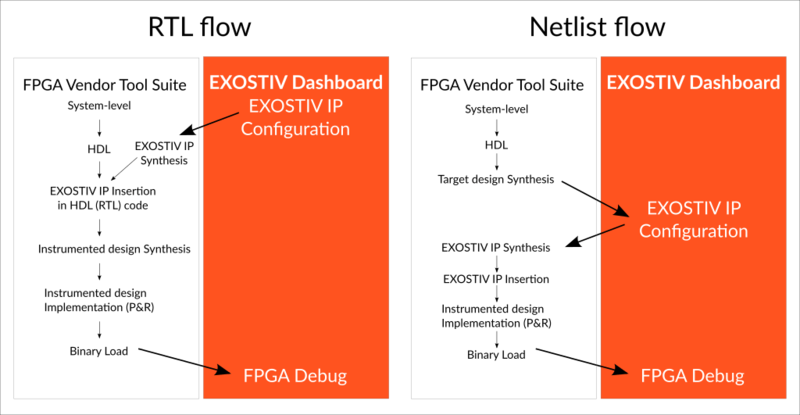 The integration of EXOSTIV with the FPGA vendor tool allows browsing the design hierarchy, selecting nodes to observe and then automatically generate an instrumented design. When available*, the Netlist flow can be a wonderfully productive approach for debug. a full scripting interface for using EXOSTIV Dashboard. We’ll come back on this too. 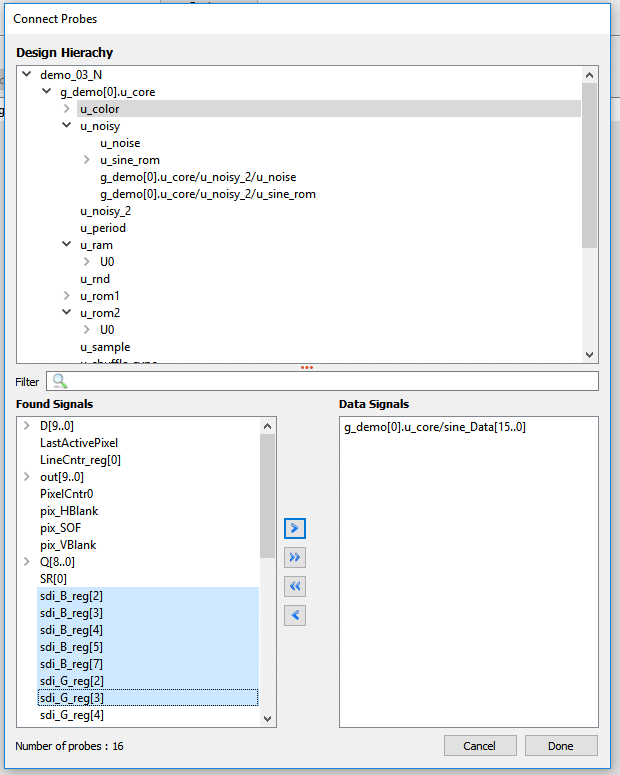 *The Netlist flow is currently available for Xilinx FPGA only.